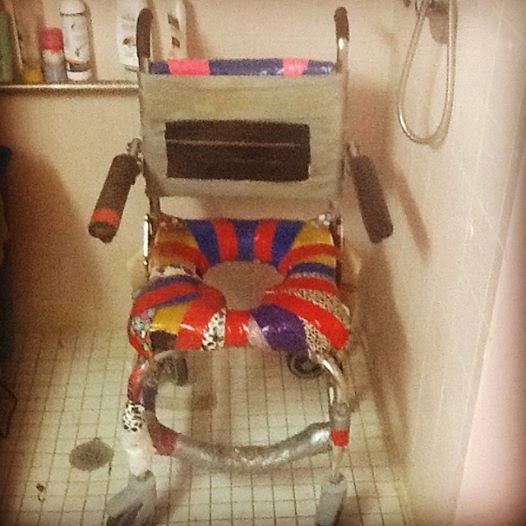 As I keep covering up the holes and the rough or sticky parts of the gel seat of my commode/shower chair with colourrful duct tape, I feel like it's becoming an art project. Maybe when I'm dead somebody will buy it for a billion dollars! And now, since I've finished addressing parcels to customers; updated my finances; and arranged to meet two new prospective employees tomorrow, I'm going to start working on a new painting. 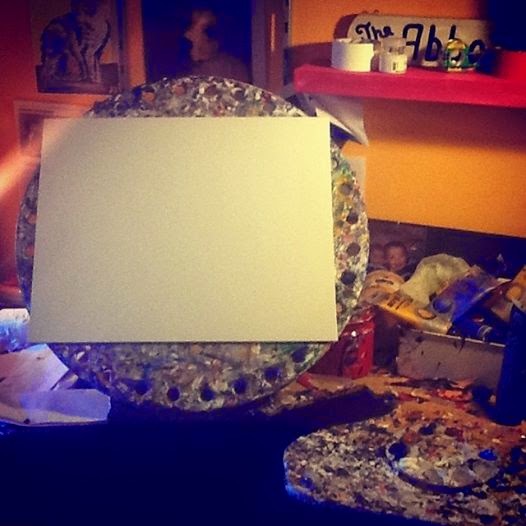 Ah, yes, a blank canvas .... Let me see what I can do with this!